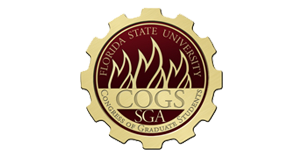 COGS offers funding for recognized graduate student organizations (RSOs) and individual students attending and presenting at conferences. If you are interested in applying for funding for your RSO through COGS, LSC or MSC, please use the COGS Organizations Request/Allocation Form. FOR COGS Funding Requests: All new business is due the Thursday before a regularly scheduled COGS meeting. Financial requests take up to two weeks to process after a meeting, so groups are encouraged to submit requests as soon as possible. Please refer to the SGA Financial Manual for the Purchase Request timeline. Once funding is secured, Please go to the Nole Central website (https://nolecentral.dsa.fsu.edu/) and complete a Purchase Request to use your allocated funds. Conference Attendance and Presentation Support Grants for Individual Graduate Students: If you are interested in applying for funding, use the link Individual Conference Presentation and Attendance Grants and review the Eligibility guidelines prior to applying. Please note that all applications must be submitted at least 15 business days prior to your conference to be approved, but can be submitted as early as four months prior to the conference as long as it is within the funding window. Funds are available each period first come, first serve.